3 Million Strong Teachers Pay Teachers Sale! Dust off those wish lists - it's time for the Winter Teachers Pay Teachers Sale! 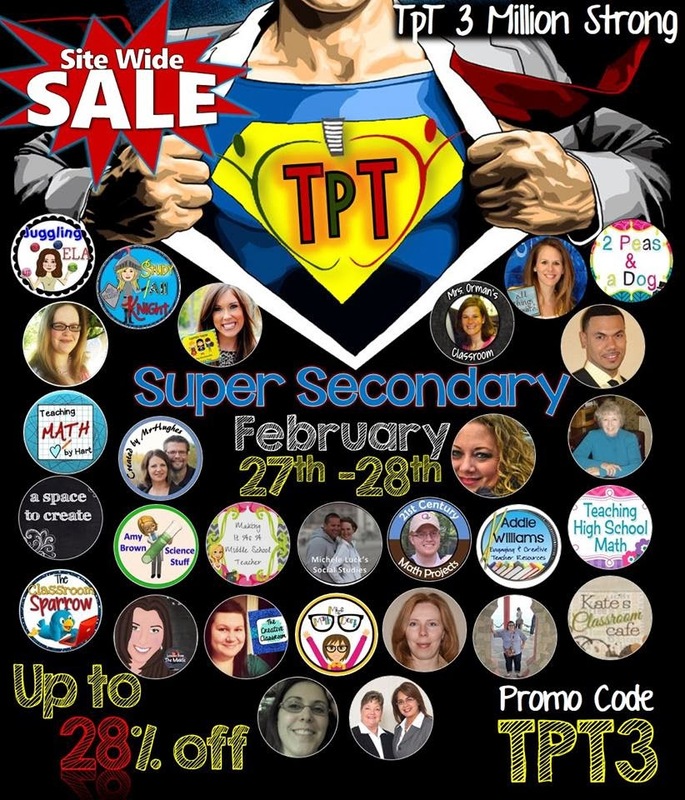 and all of the other SUPER SECONDARY TEACHERS featured in this ad below - made by the fabulous Danielle Knight! Don't forget to use the code TPT3 at checkout for an additional 10% off! I don't know about you, but I've about had it with all of this snow and cold. We are certainly getting spring fever - the kids at school and the kids that live in my house. Mother Nature, I beg you, give us a BREAK! So, in the midst of all of this weather, I somehow managed to miss posting the February Linky Party! 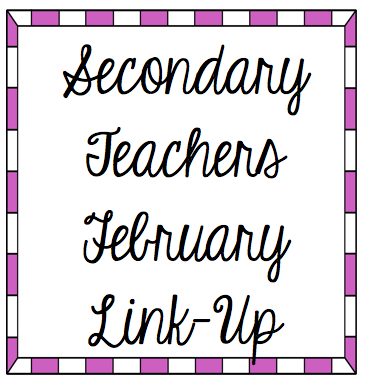 This link-up is for Secondary Teachers - (grades 6 - 12). You may post two paid and one free products in this link-up. Super Secondary Super Sunday Sale! 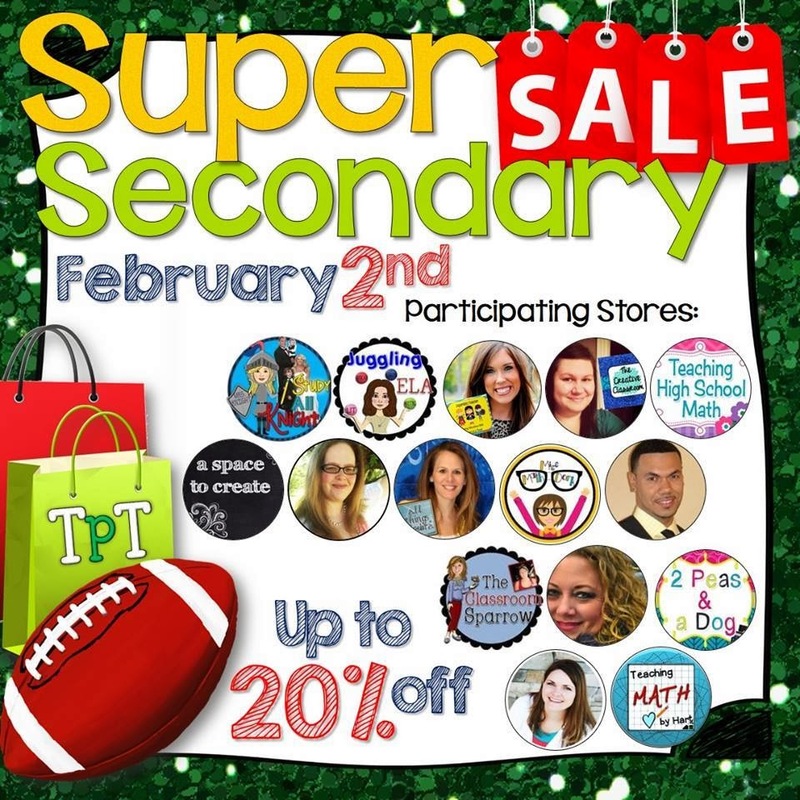 Up to 20% off in all of these fabulous Secondary Stores TODAY ONLY! Here's Me - Teaching High School Math!